I felt energized as I took in a sip of the crisp winter air and looked up at the grey skies. 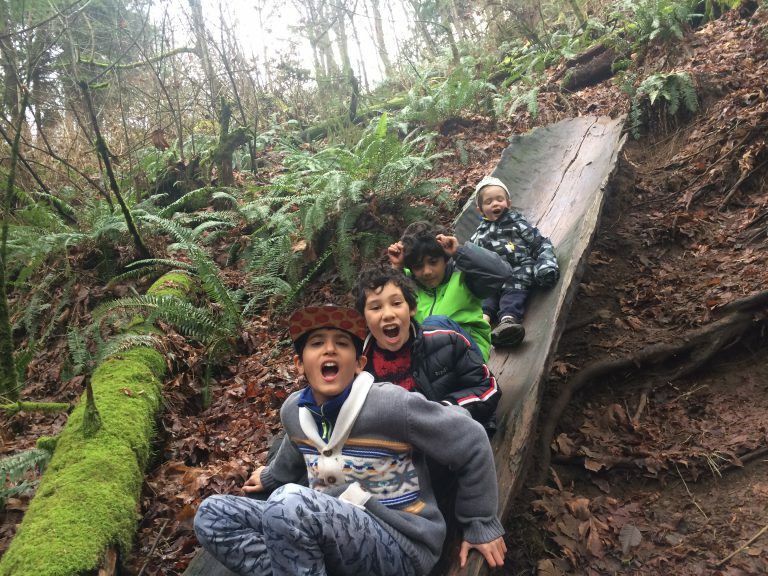 What a delight to follow children gaily skipping along a forested trail during an overnight outing of the Shambhala Families, Parents, and Children’s Group here in Seattle. The pathway was at Dash Point State Park. Shortly, we came upon a giant log that was naturally chiseled by the elements. Much as with a playground slide, kids and adults alike felt they simply had to ride down the half tube. What fun to be in the great outdoors! 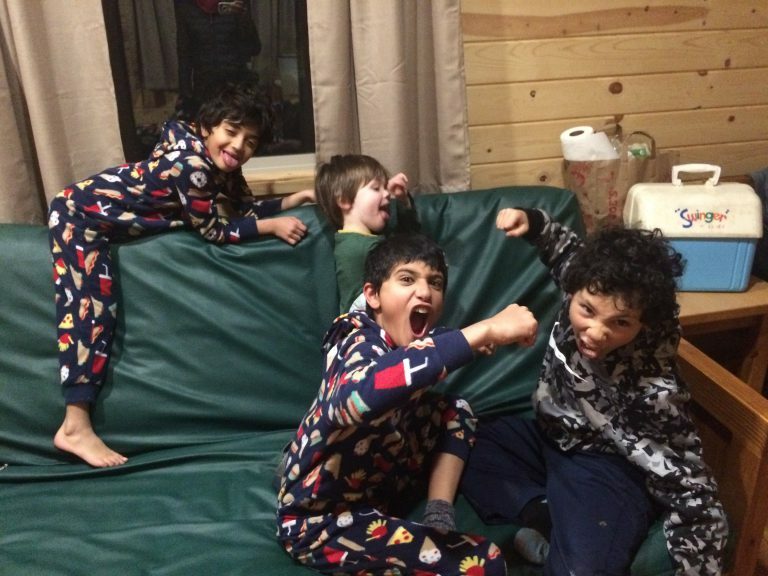 The Shambhala children and their families were “glamping” rather than camping, only borderline roughing it. We spent the day taking hikes to the Sound and a night at cabins dotted on the park grounds. Andy McClean, Arlow’s dad and our resident biologist, had his binoculars handy to show us the many kingfishers and bald eagles that were fishing and soaring along the coastline. My friend Rita, a Nepalese fisherwoman, pointed to a large swarm of ducks and geese gathered in one area of the water, and said the ducks were actually there fishing for salmon. Who knew? A small creek was flowing to the Sound from the local watershed, and the kids were enthralled with devising creative ways of crossing it without getting wet. Of course they all got not only wet, but also muddy! In the evening we walked creekside and along various trails, trading stories of wildlife encounters, particularly with bears. As darkness fell, we settled down on the cabin porch, huddled around a slowly failing but still working-condition cookstove, making warm rice pilaf with cilantro, lentils, dhal, raisins, and cardamom. Yum! The kids were delirious with the excitement of being in a different light and a natural setting with loving adults who could allow them to simply be. They continued their rather raucous fun inside one of the cabins, while the grownups sat around out on the porch enjoying food, conversation, and community. It made me realize how genuine conversations happen spontaneously when we are gathered around a warm hearth, and how we need to create more such opportunities for connection in our society. It was only a short one night outing reconnecting with the elements of the earth and the season; however, it turned out that in addition to warming our bellies, the experience also warmed our hearts. The group hopes to do more future outings with the youngsters, in every season.